We can find an interesting contrast between Ninja and Samurai here also. Now, I am talking about "escape". As a samurai is a kind of a soldier, deserting under enemy fire is the most shameful thing he could do. If found out by his officer, he would be executed. But in the case of ninja who is a kind of spy, to escape is one of the most important aspect of a mission. Because it would be in vain if he was captured even if he had succeeded in stealing important information. Everything that ninjas stole had meaning only when they arrived at their masters. Due to such reasons, ninjas worked out the technique of flight as a part of Ninjutsu. It is called "Tonso-jutsu (遁走術) ". To scatter Makibishi on an escape route in front of their enemies is one of them. 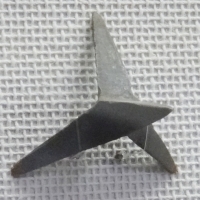 Makibishi is a kind of tiny rivet. It is a cube with several sharp arms. By putting it on the ground, one or two arms stand out. 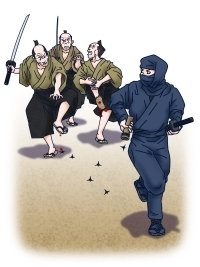 If enemies chasing a ninja stomped on some makibishi, they would be hurt by the by the makibishis that would stick into their feet, making it impossible to even run after the ninja any more. In the Warring States period of Japan, people generally wore straw sandals on their feet, this is footwear that could easily be penetrated from the bottom by makibishi. Ninjas would prepare some makibishi in their missions and set them into a bamboo pipe. However it is thought that ninjas would scatter the makibishi before the mission and not during their escape. Ninjas could only carry a limited number of makibishi so for this reason they had to be put in a small area together. During the escape, it is believed that ninjas remembered where they scattered the makibishi and they avoided treading on the place where the makibishi were set. There were various types of makibishi, they were made from iron, wood, or dried fruits. The most famous one is maybe the iron type. The length of them was 30-40mm, the weight was about 5g. They came in various shapes and forms such as pyramid shapes, tetrapod shapes and a type with some sharp arms. Among them, the type with some sharp arms was the most effective because it could pierce deeply into the sole of an enemy’s foot. In addition to this, as the arm was shaped like a wave, just like a sawblade, if the chaser stamped on such type of makibishi, it was hard for them to get rid of the makibishi from their sole as it was likely to wedge into the sole of their foot. This made it almost impossible to keep standing because of the acute pain. 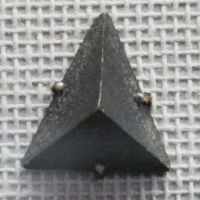 In actual fact, iron type makibishis were not used so often because they were hard to produce under the casting techniques of those days and iron was very also very precious then. Instead of them, woody and bamboo type makibishis were frequently used. By the way, the meaning of " Bishi (びし 菱) " is water caltrop in Japanese. " Maki (まき 撒き) " indicates " to scatter ". 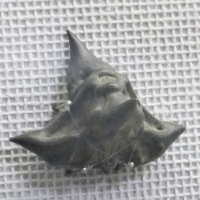 Originally, makibishi were made of the fruits of the water caltrop. By nature, the fruits are very solid. when dried by the sun, they would become firmer and hard enough to tear the flesh of a person. Further, the seed of water caltrop could be eaten. 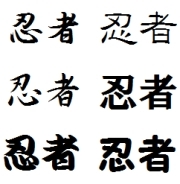 It is thought that this type was the mainstream makibishi used. Makibishi would usually not be thought of as a weapon but the resourcefulness of ninjas meant that ninjas used them as such. 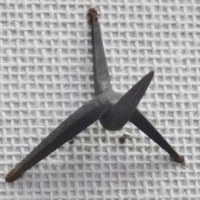 Caltrop can be seen even today for use on cars. It proves that ninjas adopted everything they could and remained flexible and creative in spite of their limited resources.